A feature, first introduced within Pokémon Battle Revolution, makes its triumphant return in Pokémon X & Y with major results. 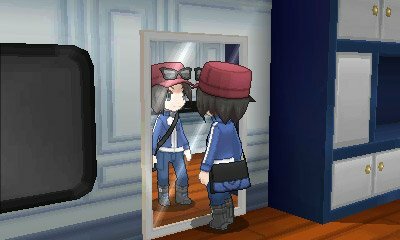 From now, you have the ability to customise your trainer's wardrobe with various clothes you purchase and find throughout the Kalos region. When you start the game, unlike the previous Pokémon games, you will have the ability to pick your character as one of three different ones. 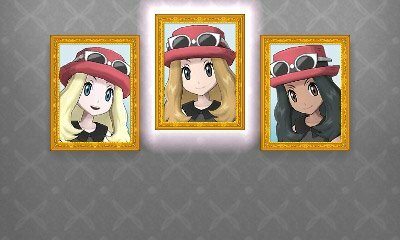 These trainers have similar builds and costumes as you begin, but they vary in original hair colour and skin tone. The choice cannot be changed once selected so be sure to make the right choice when you begin. In addition to the clothing, the Boutiques have an area for you to get your character's appearance updated. This allows you to update your character's hair in both style and colour allowing it to be a better approximation of yourself. 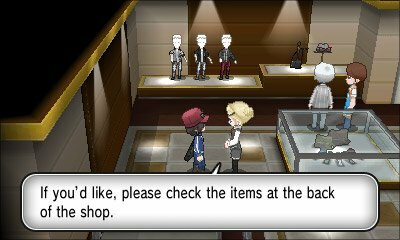 Lumiose City also has a place where you can alter the appearance of your character in more than just clothes. 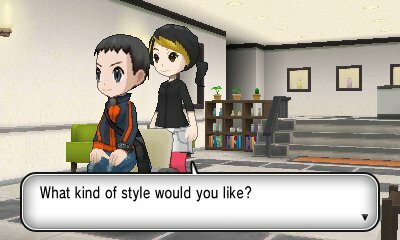 In Lumiose City's South Boulevard, there is a salon where you can alter the length and colour of your hair. These range from Very Short, Short, Medium, Long and various other styles you unlock through the game. You can also change the colour however you wish. 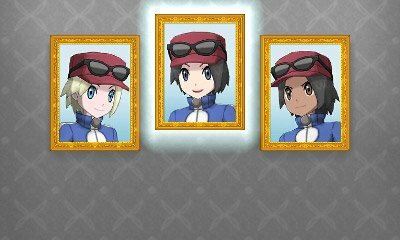 You will unlock new hair cuts when you get more stylish in Lumiose City. For female characters, you also have the option to just have the front cut which costs 500. Colour is listed in hues depending on lighter and darker than current style: Blond, Orange, Honey, Brown and Black. In addition to that, in the Trainer PR Video Studio, you can add things such as make-up, different coloured lenses and stickers for the sole purpose of your PR Video. You can also change the colour of your eye through lenses obtained through this and keep it throughout the game. This is done in the dressing room in the Pokémon Center once you have obtained.